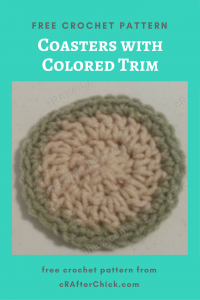 Are you a beginner to crochet or perhaps just want an easy to remember small project that you can do in a small amount of time? 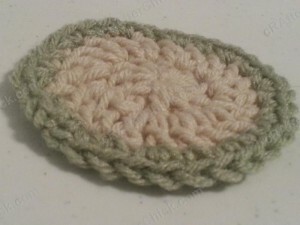 If you are going to someone’s house for a party or dinner, think about coasters as part of a hostess gift you give. You can use colors to match their home if you know them, colors of their favorite sports team or school schools or even colors associated with the closest holiday. Here is closeup of a coaster to get a better look before starting. Here we go. Round 3: Attach the contrast color yarn for the trim with a sl st at where you left off in previous round on coaster. Ch 1. *2 sc in next st. sc in next st. Repeat from * around. 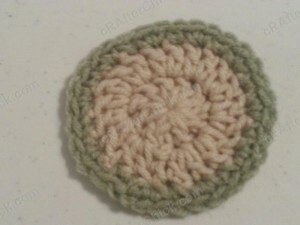 Join with sl st to top of beginning st. (30 sc) Fasten off the main color yarn. Cut yarn, pull through and finish off with your yarn needle. All done. An easy coaster that is quick to work up as a last minute gift.